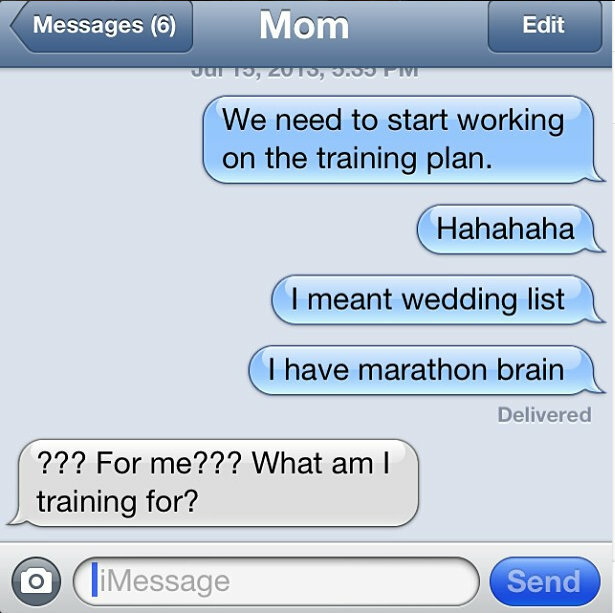 I stuck to my training for the most part last week. I decided to add an additional run day to my training schedule instead of sticking with the 3 day plan. I found a training plan in the Runners World July issue and mixed that with my Dopey training. This week I also had the opportunity to check out the athletic apparel line YMX by Yellowman. I received two shirts for review, the Infinite Tribal racerback tank-green and Short Slv Tri-Pocket Jersey Living Sun-BLUE. There are so many positive attributes about YMX by Yellowman. I instantly fell in love with the lightweight fabric. The Infinite Tribal racerback tank I was given to review was adorable on. Gabe even commented on it! It has a pocket in the back with reflective logos. It's form fitting but stretchy at the same time. YMX by Yellowman also makes a matching skirt to this tank. You know how much I love that! My favorite features about this shirt is that it didn't overheat me and it dried very quick. Upon receiving the Short Slv Tri-Pocket Jersey, I decided to give it to my tri-athlete friend Tara. Although the short sleeve pocket jersey can be worn by athletes other than cyclists, I am a Florida runner and I only run in tank tops. One of the neatest thing about this jersey is that it has gear pockets on the back. It will hold many useful items, pretty much anything you would need on your day out; water bottle, energy-gel packets, chapstick, keys, cell phone, mp3 player, ID, camera, etc. There is also reflective tape in the front and back armhole seams so I wont have to worry about Tara getting hit by a car during her 30 mile rides. It fits perfect! Feels light so it wont make me hot on hot rides. I love that it is SPF 50. It will match my tri-shorts perfectly and I cannot wait to wear it at the next Tri. Both Tara and I were very impressed with YMX by Yellowman and I am excited to see what new designs and fabrics are added to their lineup over the fall. DISCLOSURER: this review of YMX by Yellowman was made possible through my partnership with FitFluential. All opinions are mine.